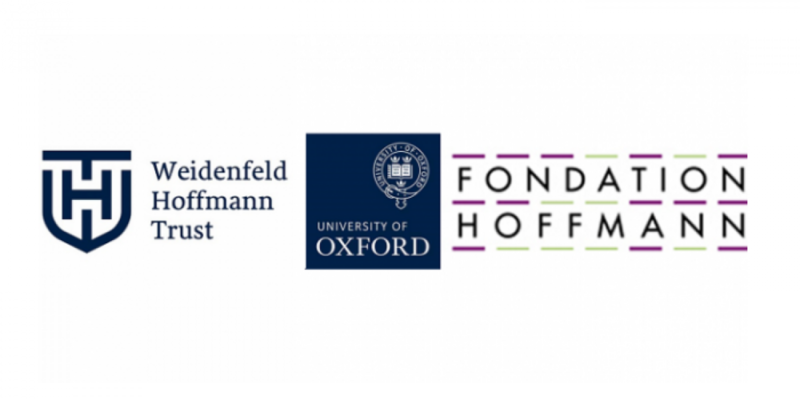 The Oxford-Weidenfeld and Hoffmann Scholarships and Leadership Programme was established in 2015 thanks to generous donations from multiple donors to mark the 95th birthday of Lord Weidenfeld. This scholarship is part of the Oxford Graduate Scholarships, which were established through a ground-breaking new matched funding initiative to enable the creation of fully-funded scholarships for graduate students of the highest calibre from across the world. The University contributes 40% of the funds for these scholarships, together with 60% from generous donations provided by supporters of the Weidenfeld-Hoffmann Trust, including Fondation Hoffmann. Fondation Hoffmann is a Swiss-based grant making institution supporting the emergence and expansion of concrete projects which address global problems in today’s societies. You should be intending to return to your country of ordinary residence once your course is completed. Students currently at Oxford are not eligible to apply unless they are already Weidenfeld-Hoffmann scholars. This scholarship is not open to applications from candidates who hold deferred offers to start in 2019-20. The scholarship will cover 100% of course fees and a grant for living costs (of at least GBP 14,777). Awards are made for the full duration of your fee liability for the agreed course. In order to be considered for this scholarship, you must select the Weidenfeld-Hoffmann Scholarships and Leadership Programme in the University of Oxford Scholarships section of the University’s graduate application form and submit your application for graduate study by the relevant January deadline for your course. See the Courses page for the deadline applicable to your course. You must also complete a Weidenfeld-Hoffmann Scholarships Statement and upload it, together with your graduate application form, by the deadline.